Since the vet declared me overweight, They’ve restricted my rations. I’ve been forced to think about alternative means of obtaining sustenance. ← What do you get when you cross a Yorkie with a Yorkshire Terrier? Now that’s a cute pic. Imagine the fun you could have chasing him! He sure is cute though. Those bunnies are quick as a rabbit. It’s tough. Now Kyla you be leaving that adorable bunny alone. 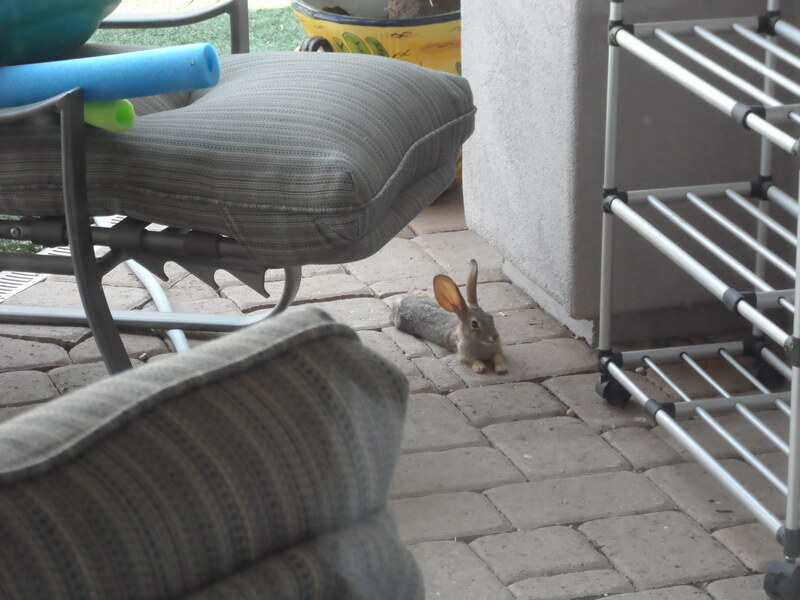 Bunny is so cute and only resting on your patio for awhile. Kenzie keep chowing down help Kyla to lose weight while helping yourself to gain. So happy to hear Kenzie is feeling better! Now… How can you work your way around those rations…? 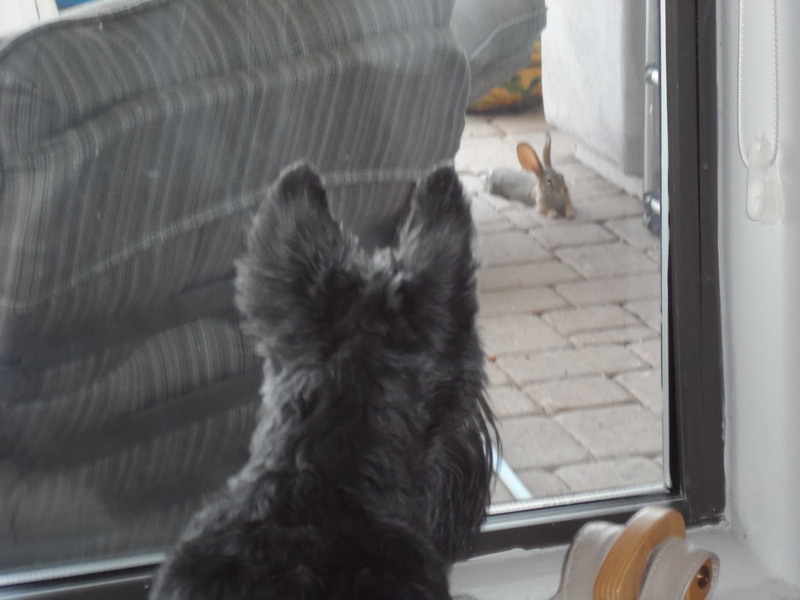 Hmmm, that bunny could be the answer, are you much of a hunter? I’ll never admit to anything. I don’t have a hunting license. I’d have that rabbit!! Hare today, gone tomorrow BOL !! 🙂 Weee’s popped over to say Hi from Joules and Prescott. Say hello to J&P for me-better yet, I’ll go do it myself. I was so sneaky, nobody saw me!